Radiofrequency non surgical facelift – Defy gravity with firmer, tighter, lifted skin. Want a little lift but don’t want to go under the knife? Then EndyMed Radiofrequency skin tightening treatment for the face could be perfect for you. The Suffolk Medical Clinic convenient for both Suffolk and Essex, offer a new, state of the art, skin tightening, radiofrequency, skin smoothing treatment that is both clinically proven and FDA approved. A non surgical treatment that will deliver natural, long-lasting results that are truly remarkable. Targeting areas such as the sagging skin on your cheeks, jowls, neck or the wrinkles around your eyes, EndyMed Tighten and Fractional Skin Resurfacing delivers a precise radiofrequency, wrinkle treatment energy, deep into your skin. This highly effective process firms, tightens and lifts sagging skin – and while the full results can take up to 6 months to develop, you’ll get an immediate lift and see short-term results after each treatment, so, as your collagen contracts, you will get a sneak preview of what’s to come! Not only that, EndyMed Skin Tightening Treatments and Fractional Skin Resurfacing Treatments also reinvigorate your skin’s natural processes, so you will be positively glowing! The Suffolk Medical Clinic offers three Endymed 3Deep Facial Skin Tightening Treatment. EndyMed Facial Skin Tightening Treatment provides deep dermal heating for use on the face and neck areas, including jowls to smooth wrinkles, tighten, lift and firm the skin. Contouring and firming sagging or lax skin on the face and neck, you can roll back the years with this collagen boosting, pain-free, safe and effective, wrinkle treatment and this Radiofrequency facial is suitable for all skin types. EndyMed Fractional Skin Resurfacing Treatment (FSR) offers micro-fractional radiofrequency skin resurfacing with deep dermal heating which penetrates more deeply to rejuvenate the skin from the outside in, improving texture, tone and the appearance of fine lines and wrinkles. Although you may need a topical anaesthetic for this treatment, it is safe for all skin types and requires the minimum of recovery time. Fractional Skin Resurfacing is a non-surgical treatment designed to dramatically improve texture, tone, fine lines, scarring and deep wrinkles by stimulating your skin’s natural processes. EndyMed Fractional Skin Resurfacing and Tightening Treatment combine two rejuvenation methods simultaneously to not only lift and firm the skin, targeting fine lines and deeper wrinkles but also to even skin texture, tighten and tone. Combining these treatments will obtain optimum results. We think you’d struggle to find a good reason why not to invest in our range of Radiofrequency wrinkle treatments. 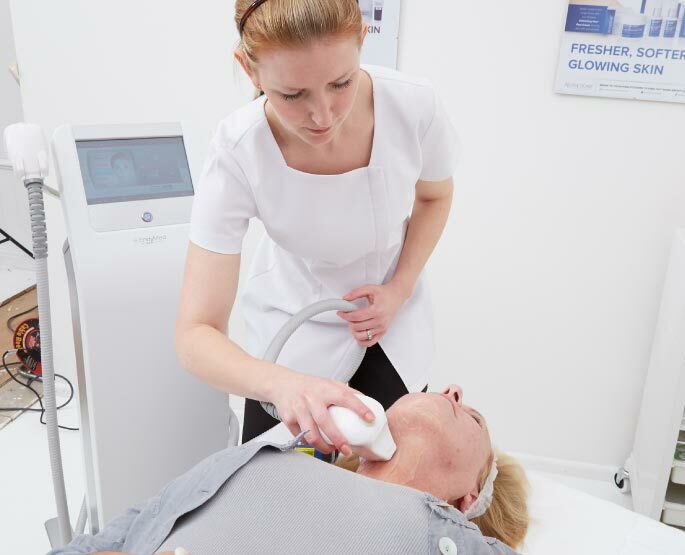 EndyMed’s 3DEEP devices should only be used by trained medical professionals and beauty therapists at level, NVQ Level 3 under medical supervision. The friendly and professional team of practitioners at the Suffolk Medical Clinic are experts in all aspects of carrying out Radio Frequency Skin Tightening and Fractional Skin Resurfacing Treatments and have been providing aesthetic cosmetic and beauty treatments for over seventeen years. Covering all areas of Essex and Suffolk including Colchester, Ipswich, Sudbury, Bury St Edmunds, Woodbridge and Braintree they understand your needs and concerns, providing a very personal, client centred approach, with high-quality safe treatments performed only by our nursing and qualified medical staff in a relaxing discrete environment. 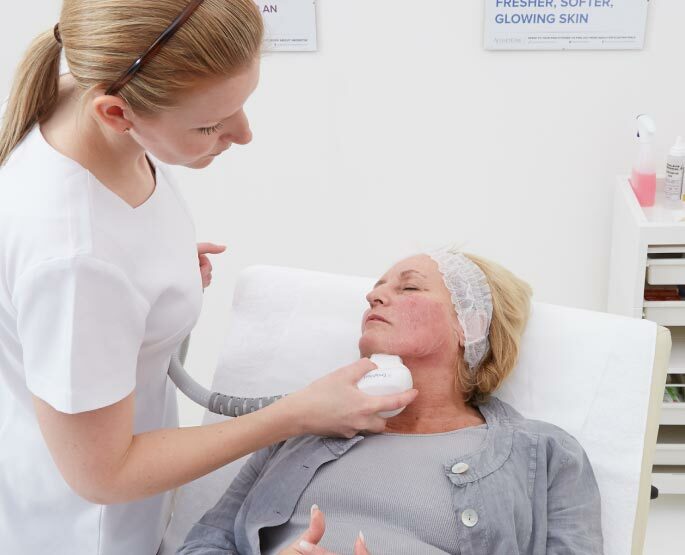 They are qualified in all aspects of administering this Non-Surgical Radiofrequency Skin Tightening for face and Fractional Skin Resurfacing Facial Treatments. Contact the friendly team at the Suffolk Medical Clinic, close to Essex and convenient for Colchester, Bury St Edmunds, Ipswich, Woodbridge and Braintree to discuss your facial skin tightening, and fractional skin resurfacing requirements.